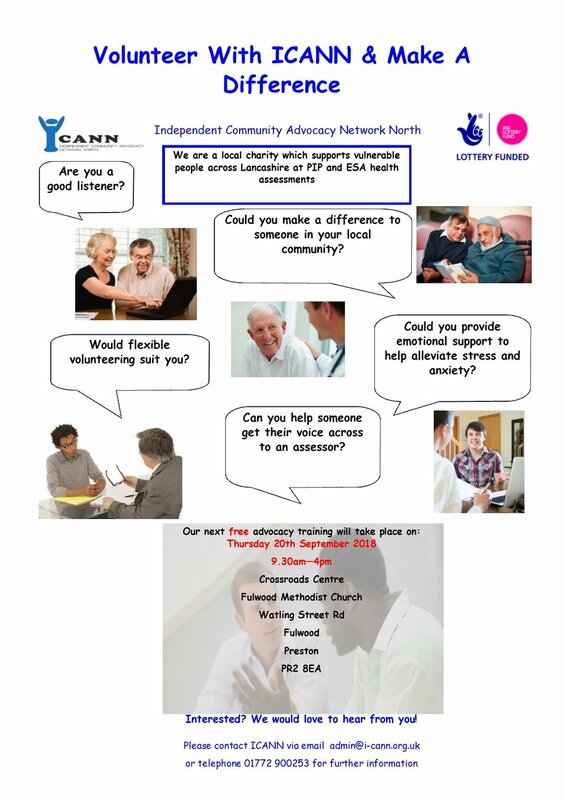 Volunteer Training Session — "Active support for citizens"
Our next Volunteer Training session is now set for September 20th at the Crossroads Centre, Fulwood Methodist Church. Could you make a difference to someone in your local community? Contact admin@i-cann.org.uk for more details.